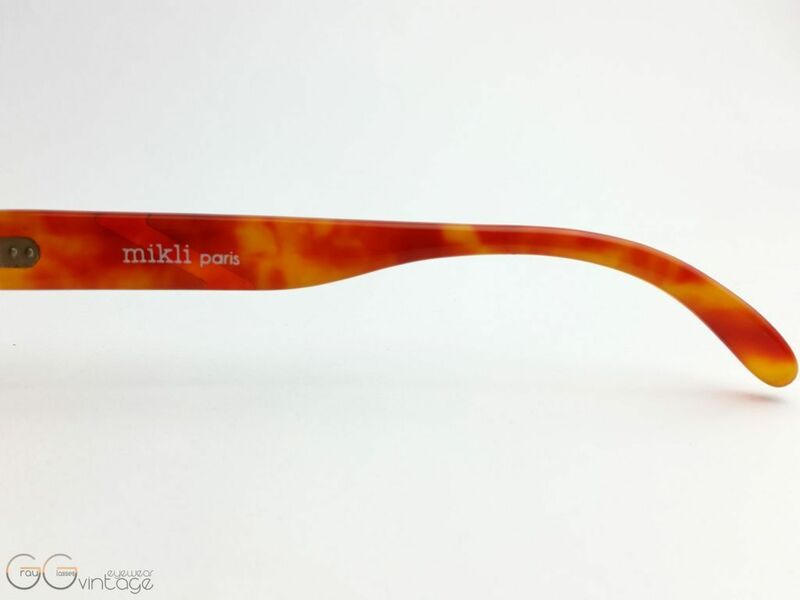 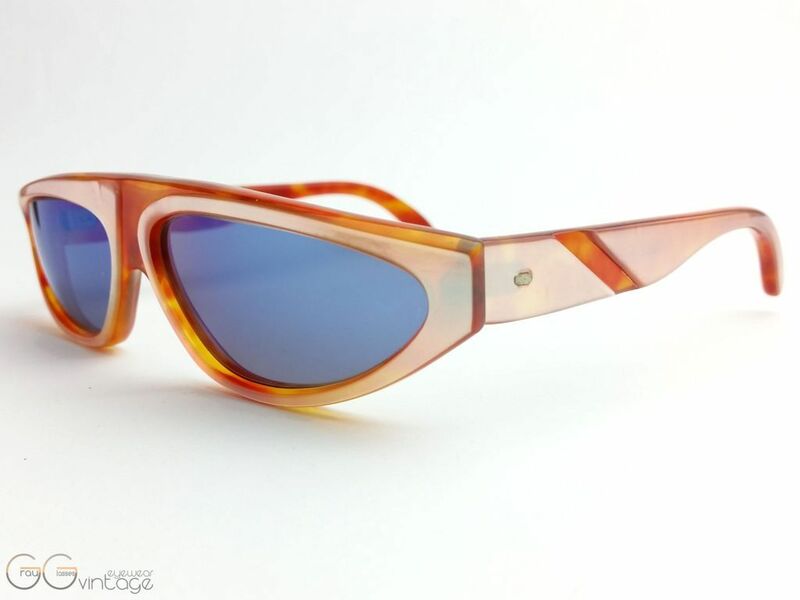 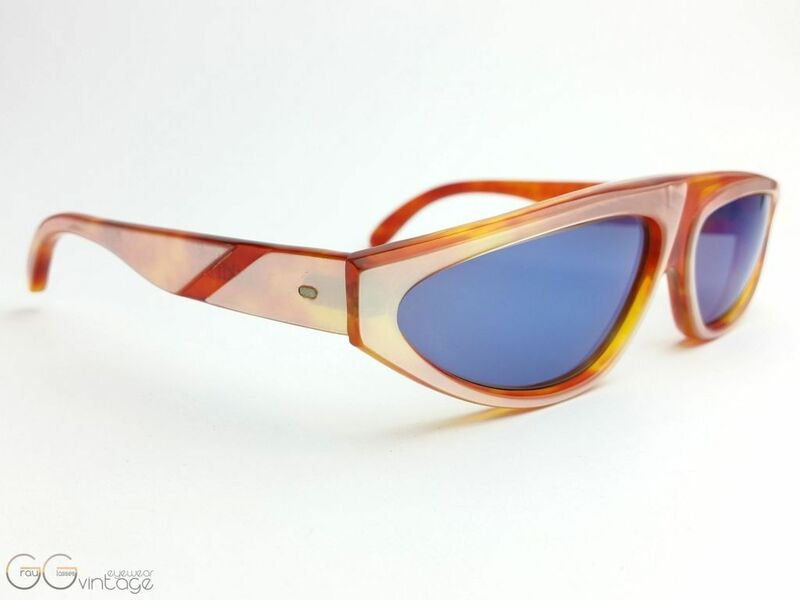 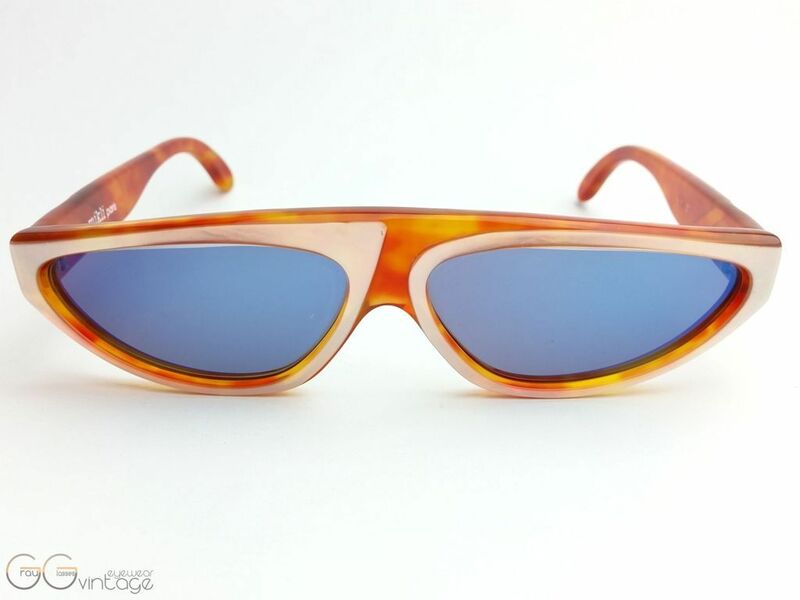 Product information "Alain mikli Model A.M. 31"
Fancy retro vintage sunglasses from the 80s in the rectangular style with blue lenses and fine plastic frame. 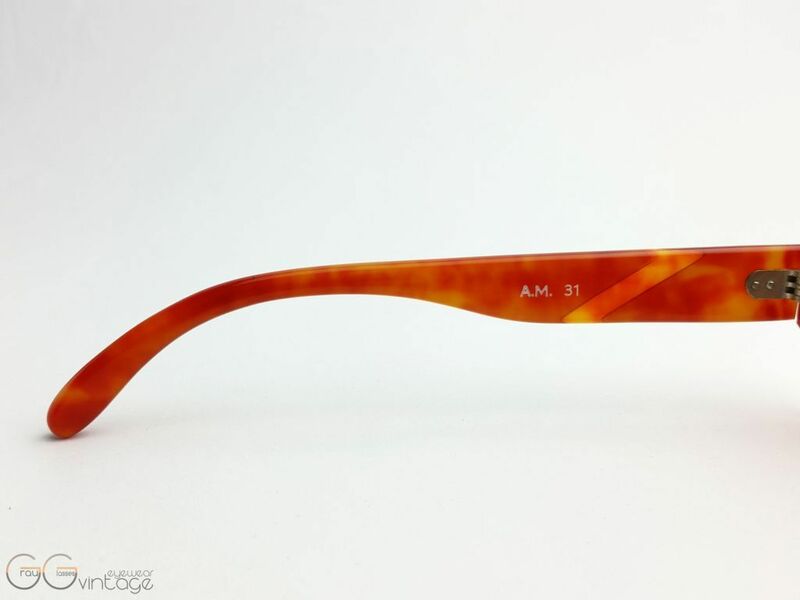 Unfortunately, this model has a small scratch on the right glass near the nose bridge. 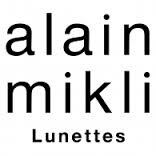 Related links to "Alain mikli Model A.M. 31"
Our comment on "Alain mikli Model A.M. 31"